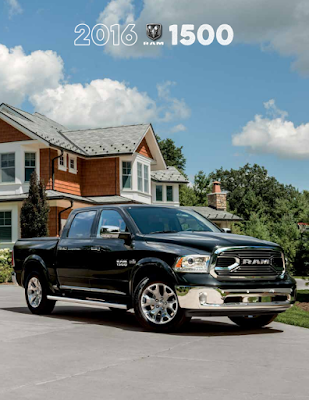 ELIZABETH CITY, N.C. –– Become familiar the 2016 Ram 1500, including its various cab configurations, design elements, performance capabilities, and modern technologies that make the 2016 Ram 1500 one of the best-selling pickup trucks of today. The 2016 Ram 1500 comes available in a number of cab configurations and trim levels. For the Regular Cab: Tradesman/Express, Tradesman, HFE, SLT, and Sport. For the Quad Cab: Tradesman/Express, SLT, HFE, Sport, and Laramie. And for the Crew Cab: Tradesman, SLT, SSV, Laramie, Sport, Rebel, and Longhorn. For 2016, an all-new Ram 1500 is introduced, raising the bar even higher. You can find all of the facts and details on the 2016 Ram 1500 in the downloadable 2016 Ram 1500 brochure and decide which specifications of each cab configuration and engine fit your needs best.